Today, Invisalign is considered a magnificent system of teeth straightening, and at our office, we clearly affirm it. The Invisalign or Invisalign Teen system can be an excellent option of treating a variety of common orthodontic issues. 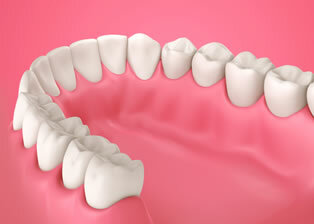 In fact, complex crowding, spacing, and jaw problems can be properly corrected with the use of Invisalign! However, Invisalign works differently for each patient. For this reason, our trained dentists in Westlake Village can assess your situation to determine if Invisalign is the right system for you. To find out if you are an ideal candidate for Invisalign, contact us today at our office for a free consultation. 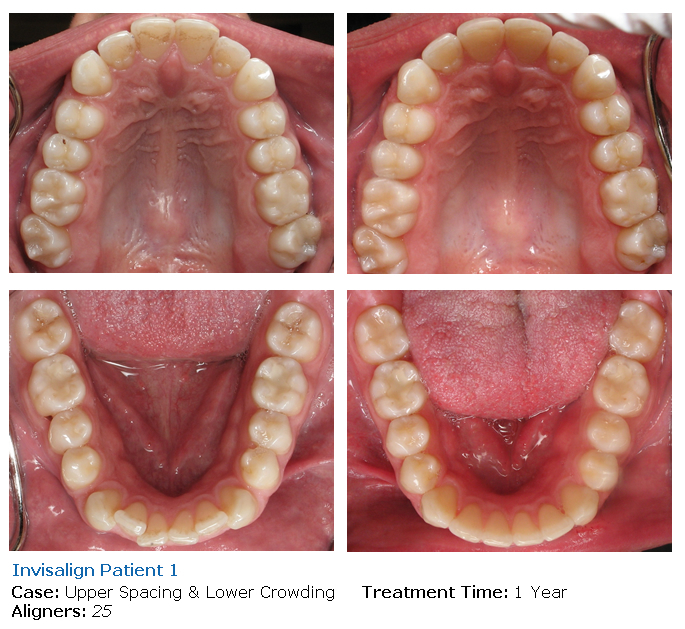 Below are just few of our successes with Invisalign. Every day should begin with a smile. This is the exact motto we use at Westlake Smile Design. Your smile is our number one priority at our Westlake Village Dental office as you'll see throughout our compassionate care. Our Invisalign dentists are trained and skilled experts at helping you get the smile you've always dreamed of. The staff at our Invisalign Dental office is available to answer any questions or address any needs you have as a member of our dental family. If you or your family are in the Thousand Oaks area, give us a call and see the difference our combination of compassion and experience make for your dental care. Review the Invisalign Testimonials video to the right to see examples of how the Invisalign treatment has helped others achieve beautiful results! Invisalign braces are clear and nearly invisible, so no one will know you have them unless you tell them. It is a great way to create a beautiful smile without the metal mouth. 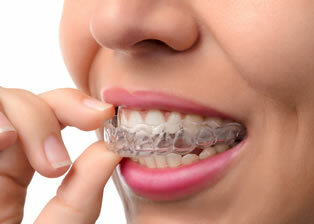 Metal braces can be uncomfortable and they really don’t do much to help your smile while they are in. Contact our Dentists who are experts in the Invisalign product today! If you want a great smile and live in the Thousand Oaks area of Southern California, then call us for a consultation today. We will make sure to help you achieve a healthy smile that you are proud of. Feel free to ask any questions and let us know how we can help you. Dr. Hakimi and Dr. Ebon offer Invisalign in Westlake Village. 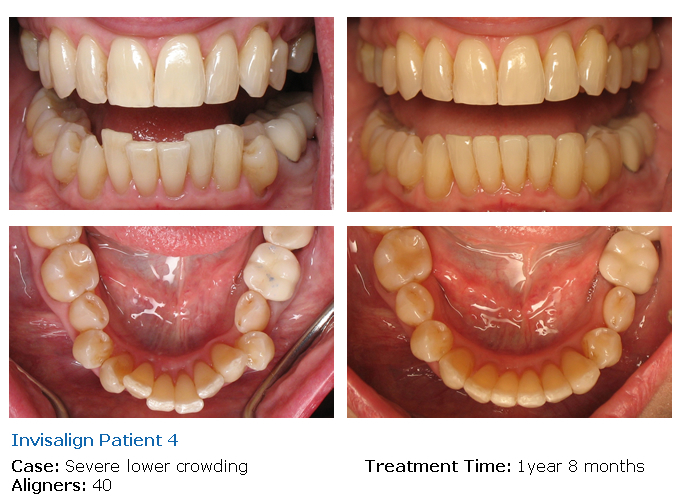 Call (805) 497-9585 to discuss fixing crooked teeth with invisible, removable braces today! Invisalign® straightens teeth to give you the confidence of a great smile. Using a series of clear, virtually invisible aligners, Invisalign treatments gently and gradually moves your teeth based on the plan prescribed by your Invisalign dentist. There are no wires or brackets so you’ll have confidence in your smile during and after treatment. In fact, most people won’t even know you’re wearing Invisalign. Invisalign aligners are removable, so you can eat whatever you want and easily brush and floss as you normally would. You’ll visit your Westlake Village Invisalign dentist dentist every 6-9 weeks on average, and typically Invisalign treatment takes less than a year. If you're ready to begin your Invisalign treatments and get the smile you've always wanted, contact our Westlake Village dental office to set up your initial consultation! Your Invisalign Dentist will make removable braces (called aligners) made from smooth plastic, especially for you and your orthodontic needs. The aligners guide the teeth into their correct position as planned. 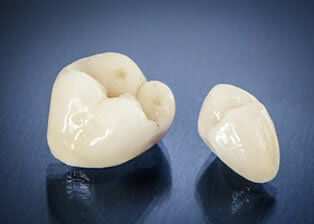 About every 2-3 weeks you change to the next aligner in the series. They can be removed when you are eating and for cleaning your teeth normally. This is a big difference from conventional braces that can make eating some foods difficult or impossible. Many patients with conventional braces also find they must spend extra time every day to keep their teeth clean with the wires and brackets, but this is eliminated with Invisalign. The virtually invisible aligners are made of a thermoplastic material uniquely developed for Invisalign. The aligners are custom-made for you to move your teeth in the sequence determined by your Westlake Village Invisalign dentist. Each set of aligners is worn for about two to three weeks before moving onto the next set of aligners in your treatment plan. Cost is always a concern, and only your doctor can determine the exact price of treatment. In most cases, Invisalign treatment costs are comparable to the cost of traditional braces. In the U.S., the cost of Invisalign treatment ranges from $4,000 to $7,000, with the national average at about $5,500. Because dental benefits differ from policy to policy, when you come in for you complimentary consultation, we will contact your insurance on your behalf and determine your coverage plan. In general, if a patient has orthodontic coverage, Invisalign should be covered to the same extent as conventional braces. 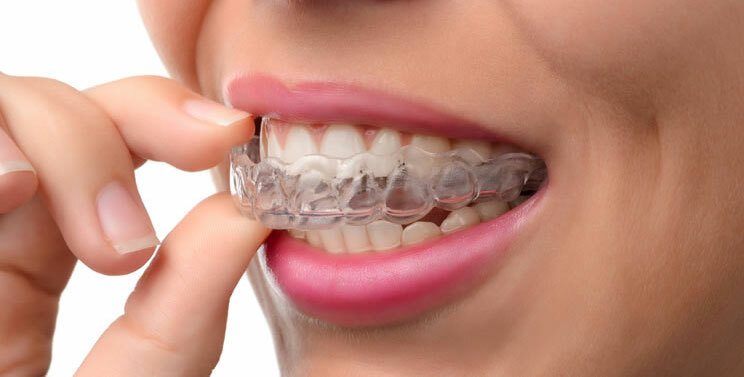 The best part of Invisalign is that they are virtually invisible, so no one will know you are straightening your teeth. 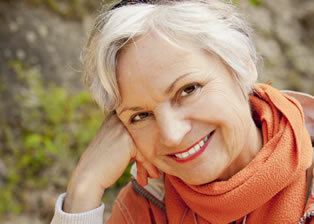 If you are an adult, you will save the embarrassment of looking like a teenager as with conventional braces. Using Invisalign you can continue to live your life normally as there are no wires to tighten or brackets to move. Invisalign is comfortable to wear, does not affect your speech the way traditional braces can, and allows you to keep great oral hygiene. Contact your Westlake Village Invisalign dentist to get started! 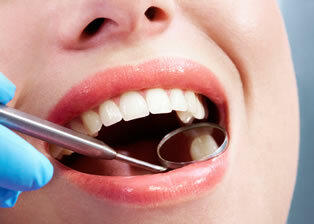 If you want a great smile and live in Southern California, then call us for a consultation today. We will make sure to help you achieve a healthy smile that you are proud of. Feel free to ask any questions and let us know how we can help you. One of the most difficult obstacles of adolescence: Traditional braces. Did you know there is a healthier, more cost-effective, and attractive alternative to traditional braces? Invisalign removable braces are the perfect solution for many orthodontic needs, helping please both teens and parents. With young people in mind, Invisalign Teen was created specifically for a busy, on-the-go lifestyle. 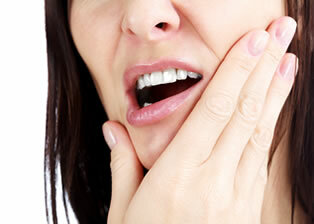 Skip gum and mouth irritation caused by traditional braces. 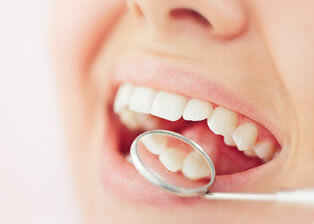 Oral hygiene is never a hassle because there are no brackets or wires to work around. These invisible aligners slip out easily so brushing and flossing can be done as usual and without time-consuming cleaning of hardware. 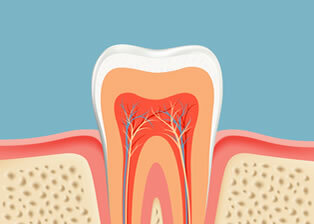 Food can get trapped in traditional braces causing plaque build-up and tooth decay. Invisalign Teen is the right choice for healthy teeth and gums. Best of all, Invisalign for teens is so discreet you won’t even notice you are wearing it – and neither will anyone else. Be confident in your smile using Invisalign! How does Invisalign Teen Works? Using an impression of your teeth, our Invisalign dentists in Westlake Village will use 3D technology to create a map of where teeth are, where they need to be, and how they will get there. A series of plastic aligners is then created to be used in a specific order and teeth are straightened gradually over the course of weeks or months. The aligners are changed out about every two weeks. Visit our Invisalign Dentists in Westlake Village, CA 91361 Today. 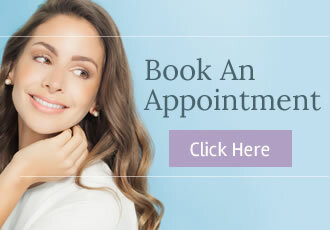 If you want a great smile and live in Southern California, then call us for a consultation today. We will make sure to help you achieve a healthy smile that you are proud of. Feel free to ask any questions and let us know how we can help you. Below are some of the most frequently asked questions patients have about Invisalign. If you have any other questions, or would like to schedule an appointment for Invisalign, feel free to contact us. A: Invisalign is a clear, removable aligner used as an orthodontic device to straighten your teeth without using metal braces. It is invisible, and as a result, nobody will notice you have them on. It can be removed to eat, drink, brush and floss. A: Your Invisalign dentist will give you a set of clear aligner braces specially designed for you, using 3-D computer imaging technology. Every 2-3 weeks, a new set of customized aligners replaces the older ones until your teeth are correctly aligned to their final position. A: The removable aligners are made with 3-D computer imaging technology, and a sophisticated manufacturing process. A: Cost varies from patient to patient. For that reason, it is hard to say without a personal evaluation. Cost is typically very similar to traditional braces. However, our dental office in Westlake village offers financing options including CareCredit, SpringStone, and CitiHealth. We also offer interest free payments and can often times break down payments to LESS THAN $100 per month. We can really make it affordable for almost everyone. How do I get started with my Invisalign treatment? A: Our Invisalign dentists will have an initial evaluation appointment to discuss your goals about your desired smile. 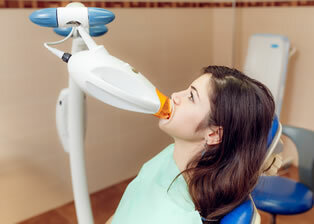 Once you are ready to start, a full set of digital x-rays is taken, along with photographs and some dental impressions. Your dentist will digitally create a customized Invisalign treatment based on your discussions, after which it will take approximately 4 to 6 weeks for Invisalign to manufacture and ship your aligners to our office. A: You will experience minor discomfort on the first few days of wearing your new Invisalign aligners. It is normal to feel some irritation. A: It works the same as braces. Invisalign® Aligners move teeth by applying a controlled force. The good thing about Invisalign® is the timing of the force, which is a very well controlled force. Depending on your orthodontic treatment, only several teeth are moved simultaneously. This results in an efficient force delivery system. A: If the patient properly wears the aligners for at least 21 hours a day, the treatment will usually take approximately 6 to 18 months for most patients, depending on the case. The more complex the case, the longer it will take. 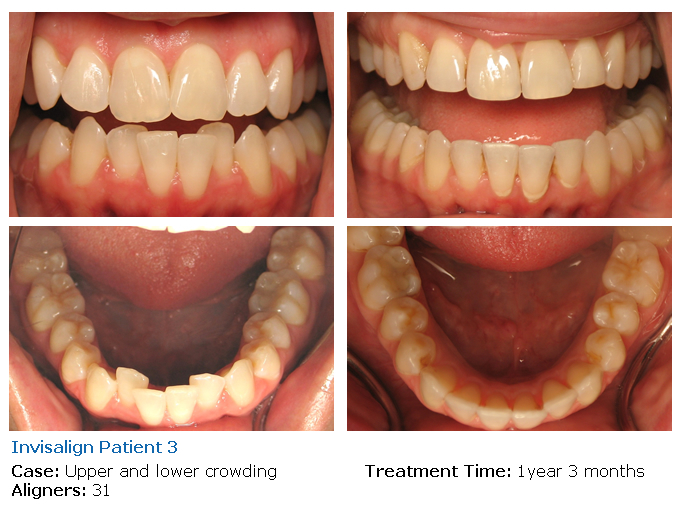 On your first consultation, our Invisalign dentists will tell you approximately how long your treatment will take. Does Invisalign have eating restrictions? A: No. You can eat and drink whatever you like during the treatment. With Invisalign, you should remove your clear aligners whenever you eat and drink. This is one of the benefits of Invisalign vs. Braces; you can eat all your favorite foods. The only recommendation our Invisalign dentist gives you is to brush and floss your teeth when you re-insert your aligners for good dental hygiene and fresh breath. Cost is always a concern, and only your doctor can determine the exact price of treatment. In most cases, Invisalign treatment is comparable to the cost of traditional braces. In the U.S., the cost of Invisalign treatment ranges from $4,000 to $7,000, with the national average at about $5,500. Our office offers financing from CareCredit, Springstone, and CitiHealth. Some of these options are interest free, and others will allow you to break down the payments to LESS THAN $100 per month. So we can really make it affordable for almost anyone. State-of-the-art, friendly, professional, and very nice people. Nothing but good things to say about Westlake Smile Design. Great Cleaning! My teeth required a lot of work during the cleaning because I missed several months since my last visit. The entire session was still amazingly comfortable. 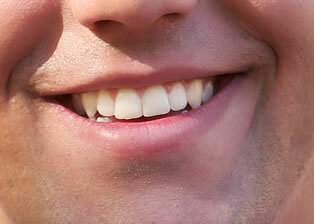 The hygienist was tremendously skillful to get the job done without causing any discomfort. The staff and Dentist were informative. I received more information from the Dentist then my past Dentist. He informed me of my options and gave me a simple plan to get the services done. The office staffed worked with my insurance. Wonderful Experience ! Dr. Eben is very pedantic in his assessment and inspection. He was very clear what needs to be corrected. I liked his feedback if he was in my place. Very gentle hands. He gave me two options to ponder. Very well mannered and articulate. Yes, I would recommend him.